Hello everyone. Allow me to introduce ourselves. We are Twigs and Heather, Heather and Kerry Alice Collins. 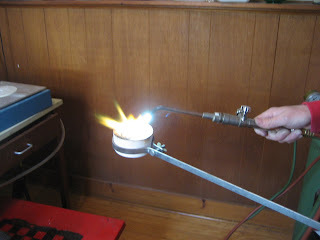 We are twin sisters, casters and silversmiths and new members of Boston Handmade. 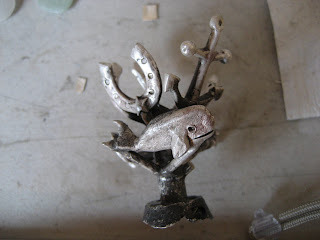 We design and cast one of a kind jewelry designs made from organic objects and hand carved wax models. We have two very different styles but they complement each other quite nicely. We usually cast waxes together and twigs together. 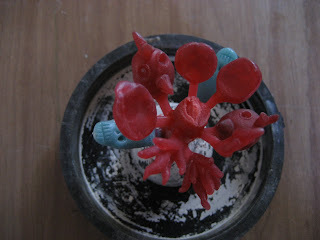 Here are some pictures of our sprueing process, wax designs and raw castings. Kerry has been working on new animals. We have rooster heads and whales. We also have a line of one of a kind sacred heart necklaces. We also have been working on some new flame designs. We always include some of our most popular pieces when we cast. 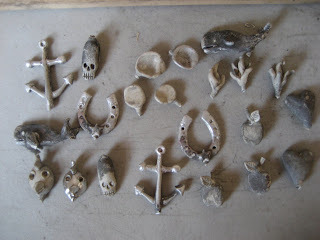 The anchor and horseshoe are two of them. These are just the first few steps of our process. It is dirty and labor intensive and we love it.